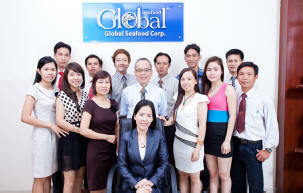 Global Seafood Corp. was founded by a MBA and DBA group dream team, and a skilled proactive team that understands the intricacies of business operation in Vietnam and regions, our company core values are “Trust, Value and Speed”. A premier seafood exporter and importer in Vietnam, we pride ourselves on worldwide procurement, top quality management and excellent customer service. We will continue to leverage our global reach and scope of services to deliver real client value through a strong belief in and a solid commitment to our vision and our mission. 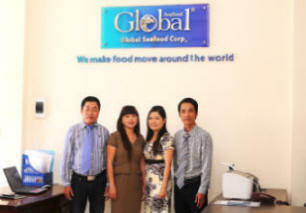 With the vision ‘to enable all kinds of food transactions anywhere over the world, anytime - reliably and securely on behalf of our clients and their customers’, we have the mission to provide the right products to right markets with high quality, competitive price and good service to meet our customers’ demand. 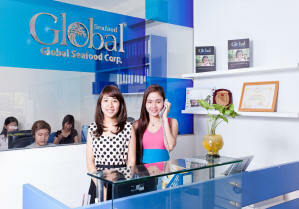 Copyright © 2006 Global Seafood Corp. All rights reserved. Designed by Kerry Khoa Ng & CanhCam Co., Ltd.